How wonderful to discover a gift like that! It's amazing how long someone's careless or unkind words can stick with you, and I'm glad you found a place where you can really shine. How wonderful to discover a gift like that! How wonderful to finally realise that you have a wonderful voice rather than a useless one - and how awful for that teacher, so long ago, to not only realise that you simply had a low register, but to belittle you so much. Also - nice to see the storks. If I hadn't taken my headmaster's judgment as gospel truth all those years ago, I might have discovered the joy of singing a lot sooner -- who knows, I might even have become an opera singer! (though I doubt it). I'm glad I've discovered them now, though. I don't even mind that nowadays, most of my Friday evenings, Saturday mornings and Sunday afternoons are taken up with rehearsals and performances. So envious of your storks. I've seen them in the wild only a couple of times (in Alsace mostly), and we only just got a breeding pair back in the UK after a few hundred years of not. I was in Turkey in April 1997 and there was large population of stork nesting on an aqueduct in the town of Selcuk. I remember being surprised by their size, having never seen one before. Pretty sure they don't come to Australia at all. Mr. Lina died a long time ago, and I can't be angry at him. It's all so long ago now, and I'm sure he didn't mean to scar me for life! Oh well. 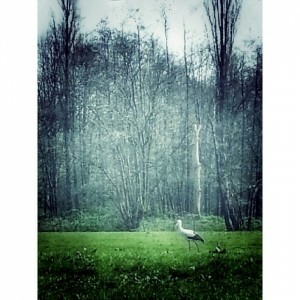 Lovely news about the storks! 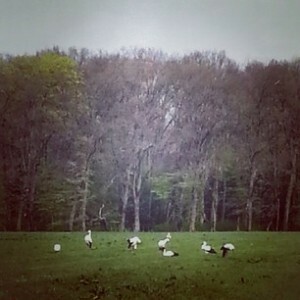 The storks are pretty amazing, real harbingers of spring!